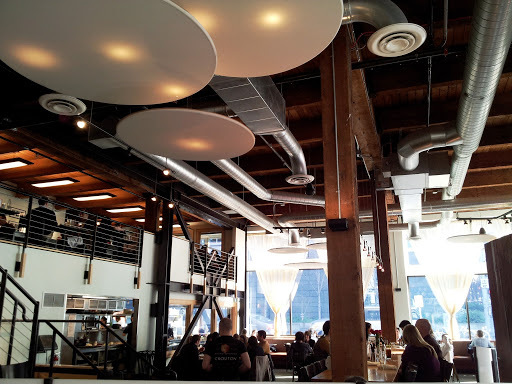 There are plenty of restaurants in the vicinity of downtown Seattle where you can stop by for lunch. 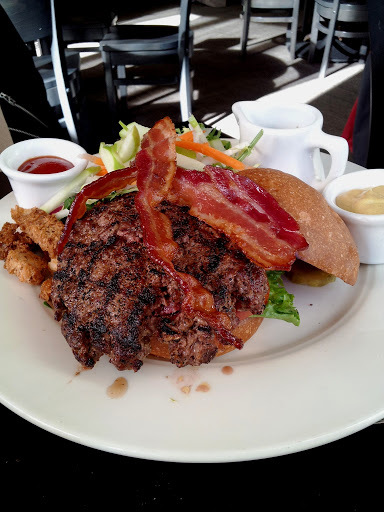 I want to give you a few reasons why you should pick Farestart as your next lunch destination. You can enjoy a special dinner with food and wine pairings prepared by Seattle’s Top Chefs on selected Thursday nights. So there you go, do good, eat well and support FareStart. I happened to arrive at the restaurant on a particularly sunny afternoon to appreciate the open space, high ceilings, and light. 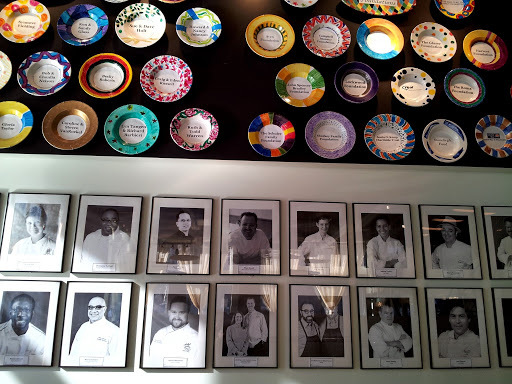 The wall of fame displays the photographs of the chefs who cooked at FareStart and plates with the names of donors. 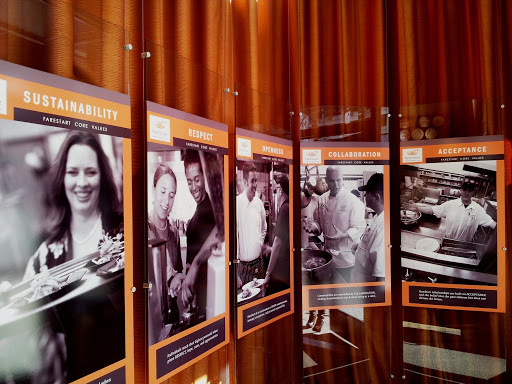 Here are just a few of the core values: sustainability, respect, openness, collaboration and acceptance. 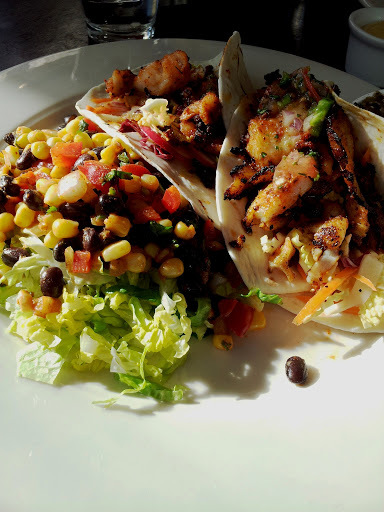 After browsing the menu, I selected fish tacos with corn and bean salad (pictured above) and my lovely lunch friend went for the meat…with bacon…barely cooked. She was a fan. 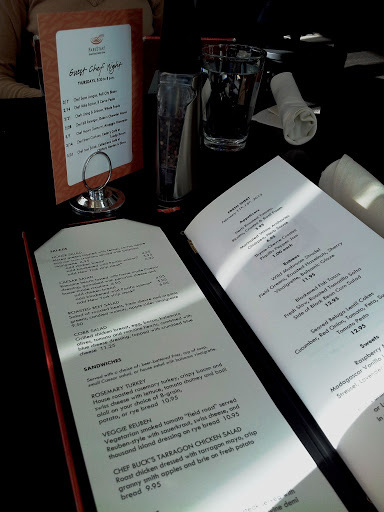 However, word of advice – if you are looking for a glass of wine to go along with your lunch, you will be greatly disappointed (just like my friend) – FareStart does not serve alcohol with lunch.